Being a parent brings a lot of responsibilities. You have to be very careful about your every step as you are the first role model to your kid. Your parenting style can leave a long-lasting impact on your kid. It can affect their behaviour in various ways. Parenting is very complex at times. It can be very tough as well. A parent is always full of questions most of the times. But there is no accurate step by step guide to parenting. Every parent has to deal with different situations at some point or the other. But there are some common parenting mistakes that any parent can commit without realising. It might be unfair if you do not listen to your kids. You should give the opportunity to your kids to express themselves well. Try to understand their interests and do not force them to do anything that you want them to do. If your kid is interested in painting, let him/her paint, do not force them to do the thing that you like. You should allow your kids to follow what they like and try all the different things that they want to do. Encourage your kids to follow their passion and do not force them in any field. Some parents are obsessed with perfection. They force their kids to be perfect in every field. But kids do mistakes. They are on a continuous learning process. You cannot expect perfection all the time. If your kid is not performing well you should guide them, teach them and tell them where they went wrong. There is a thin line between helping your kids and making them completely dependent. You should know when to help them and when to not. If you will do everything for your kid, it will stop the learning process. 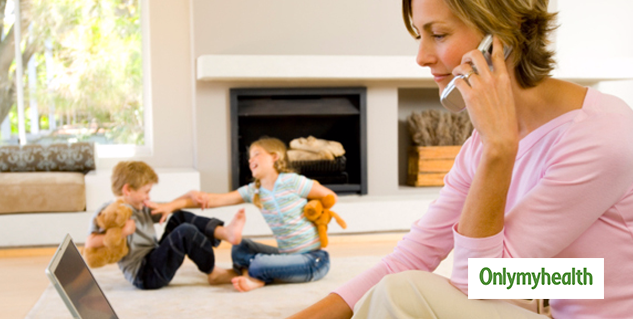 This way your kids will become completely dependent and will not put any extra efforts. This will also stop the learning process at some point in time. Teach your kids once and then let them do it on their own. Reward is like motivation to the kids. If your child behaves well and does something good, you should appreciate their efforts by giving a reward. If you do not give a reward your child will stop putting efforts in the future. Reward your child the right way so that it acts as a good motivator to put some genuine efforts to complete a certain task. If you are not available for your kids when they need you then you might not be on the right track of parenting. Kids have a lot of questions and they need your constant guidance. If you are being too busy it will affect your kid's behaviour in many ways. Spend an ample amount of time with your kids. Play with them, teach them and spend time with them.